Our guide to success in the mobile masterpiece. 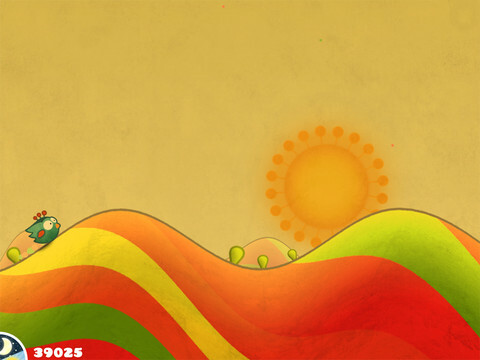 With the release of Tiny Wings HD today, we've fallen in love with Andreas Illiger's masterpiece all over again. Here are a few quick tips that will help you on your way to getting the best-feathered nest. The differences between the birds in Flight School are purely cosmetic, just pick the one you like the most! The maps in Flight School are considerably less fluid than in the original game, and you'll find yourself having to deal with a lot more flat edges. 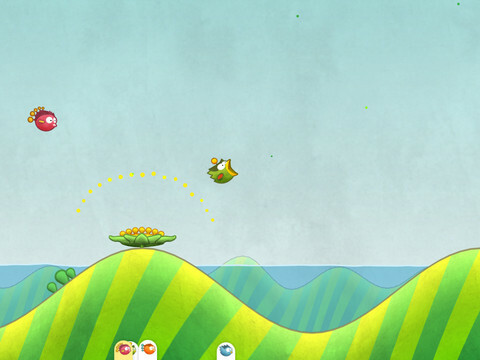 As well as practicing the tracks, try keeping up with the other birds in the early stages of each level. They'll sometimes give away handy hints like using the all-new flowers to bounce ahead of upcoming water troughs. For complete newcomers to the series, here are the basics. 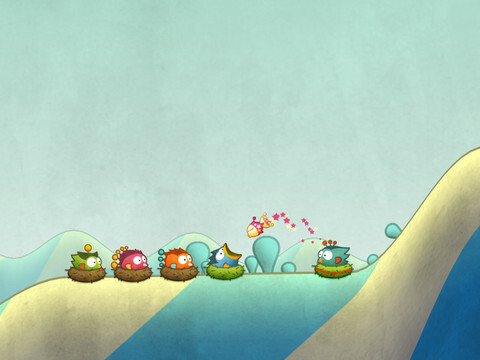 You need to bring the little bird down as close to the start of each slope as possible in order to catch the maximum lift and earn a perfect jump. Earning three perfect jumps in a row will put you into fever mode which accelerates your score, makes you fly faster, and will more often than not send you cannoning into the clouds for an extra bonus. If you can't avoid hitting the water, it's still much better to press down and try to ride out the underwater curve, rather than wait for your bird to travel through on its own. You'll still be held up a little bit, but it's not nearly as slow. If you're heading towards a series of water troughs, and you don't think you're going to make it over all of them, you should still aim to land on the furthest peak you can and ride right through the curve. Hitting the surface of the water head-on takes a much bigger chunk off your speed than if you elegantly glide along the entire slope. 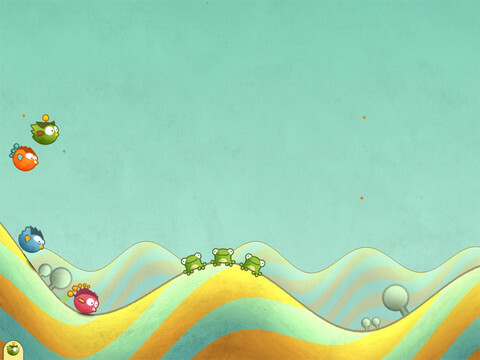 There are two multiplayer modes available on the iPad: Island King and Five-Course Meal. In the first you'll need to beat your opponent to the goal of scoring 10,000 points on an island, while on the latter, whoever gets the highest score over five islands will emerge victorious. If you need to even up a match, use the handicap system. This allows you to place a timer on one of the players that will delay the start of their run, and give the unrestricted player a head-start.